Todd Vanstone of Quinte Towing and Recovery is happy to announce the launch of their new Facebook page, providing tips to help drivers keep their car safely on the road this winter. 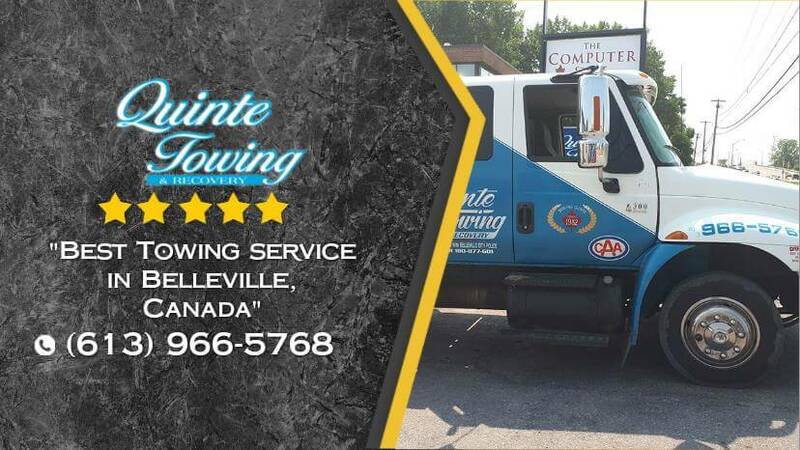 Quinte Towing and Recovery has been serving the local community of Bellville for over 35 years, assisting residents when their car breaks down or gets stuck in a ditch. They also assist with towing during accidents. Quinte Towing and Recovery Ltd. is a local business that strives to help residents of Bellville and beyond when they are in need. The recovery agents understand that getting in an accident or ending up in a ditch is already a highly-stressful situation. They dedicate themselves to making the assistance process painless and completely stress-free. To learn more, visit their website: https://quinte-towing-and-recovery-ltd.business.site/. This Bellville towing and roadside assistance company is available 24 hours a day, every day, all year long. Accidents and breakdowns don’t take a holiday, so Quinte Towing and Recovery doesn’t take a holiday either. They are also a trusted contractor for Belleville City Police and have secured storage facilities that are under constant surveillance. Quinte Towing and Recovery offers a variety of towing and roadside assistance services including flatbed towing, motorcycle carriers, winching service, junk car removal, and emergency roadside assistance. They also offer tips and tricks on their Facebook page to help drivers prepare for unsafe driving conditions. Their Facebook page can be visited here: https://www.facebook.com/QuinteTowing. 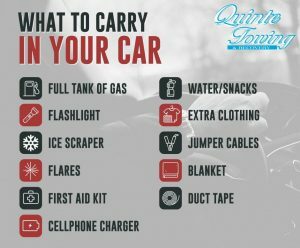 The emergency roadside assistance services offered by Quinte Towing include tire change and repair, jump start and battery charge, lock-outs, and also oil or fuel solutions. Though the name of their business covers towing and recovery services, they want to encourage drivers to contact them for any roadside emergency needs – they will strive to find a way to help even if they can’t. Quinte Towing and Recovery Ltd.